WWA is an international Project Management and Construction Cost Consultancy with its roots firmly based in the West Country. For over 25 years we have supported clients developing major construction projects in the UK and Middle East and are tremendously proud of our long-standing relationship with Pendennis, having been responsible for the delivery of all of their major land and waterside projects, including the current master-plan redevelopment. With particular expertise in managing the construction of anything in or near the water, WWA has the experience and skills to support any project within the marine environment, including dredging, slipways, jetties, dry-docks, pontoons, marinas and the associated consents and licences that are required to deliver them. WWA are very proud to support the 2014 Pendennis Cup; we wish the Pendennis team, the Owners, skippers, crews, spectators and all of our co-sponsors a great event and we look forward to seeing you all in Falmouth in May for some exciting sailing. Pendennis Superyachts is one of the world’s leading superyacht builders and refitters with a heritage spanning over 25 years. 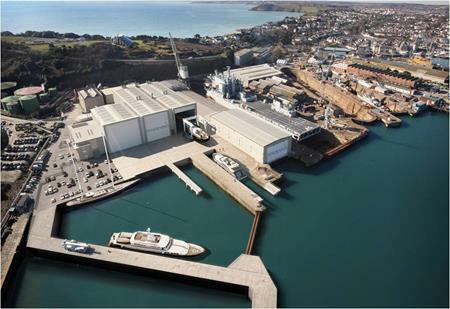 WWA has worked with Pendennis since 1995 on a number of projects to date including the original construction hall, Terry Vernon refit complex, travel hoist jetty, dry dock complex covers, temporary Whitehouse and the latest masterplan redevelopment project. WWA and Pendennis began work on this substantial expansion of the facility in 2012, with the landside project due to complete in Spring 2014 and the new wet basin in Spring 2015.